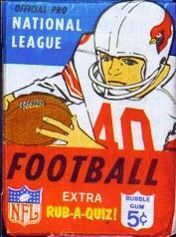 During the post-war, vintage years of the late-1940's to the late-1960's, several trading card manufactures produced football cards. 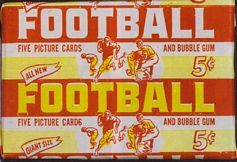 While today we recognize Topps as the dominant player in the vintage football card market, companies like Fleer, Philadelphia, Leaf, Bowman, and others, all had their fair share of releases. 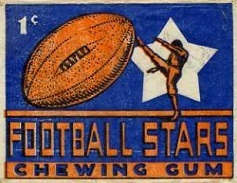 The competition was, at times, quite fierce, with each company vying for exclusive rights to leagues and players. 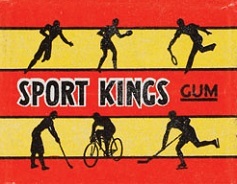 Even before the first regular football issues by Leaf and Bowman in 1948, the 1933 Sport Kings series also contained football players and should not be ignored or forgotten in this visual history guide. 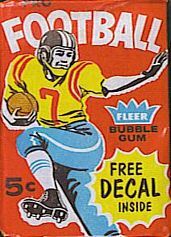 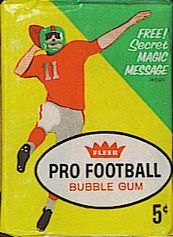 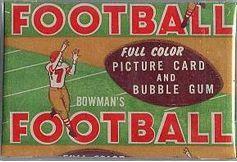 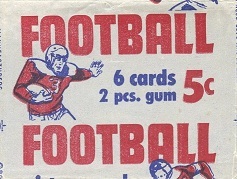 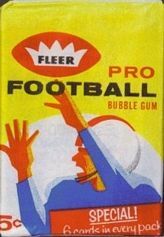 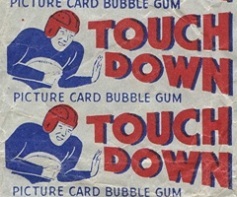 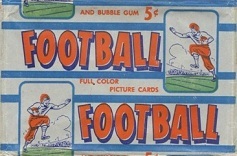 In 1935, National Chicle debuted the first trading card set comprised entirely of football players. 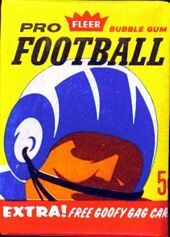 Unfortunately, the looming demands and rationing of World War II would put football cards on a 13-year hiatus. 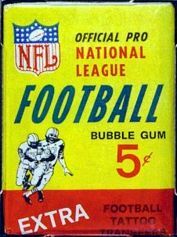 It is interesting to note the different marketing tactics used by each company to entice youngsters to part with their hard-earned nickels and dimes. 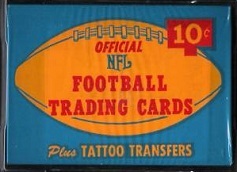 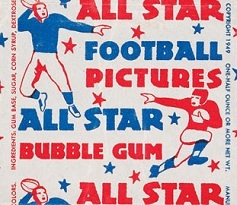 From decals, stickers and "secret messages," to pennants and tattoos, numerous novelties were included with the customary cards as an incentive to purchase packs of football cards. 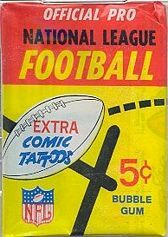 Brightly advertised in bold fonts and vibrant colors, wax packs were tiny commercials in and of themselves. 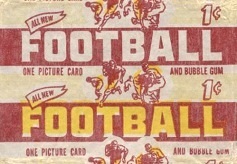 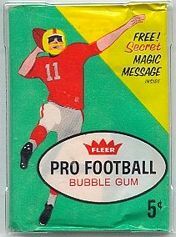 It would be years before player endorsement deals became part of the hobby, and, as a result, more generic drawings and sketches of football players were used to convey what was inside the tightly sealed wax packs, instead of specific player images. 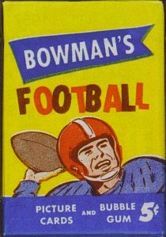 Interspersed amongst the major football card manufactures of the time, Leaf, Bowman and Philadelphia are one-off samples from releases by companies like Berk Ross and Nu-Card. 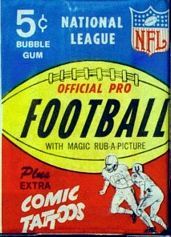 This visual reference guide through the history of non-Topps football wax packs through the years, serves as a supplement to the Topps Vintage Football Wax Pack Gallery. 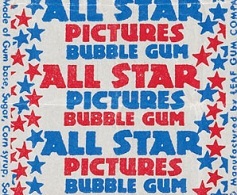 Often discarded at the time, surviving samples can be difficult to find. 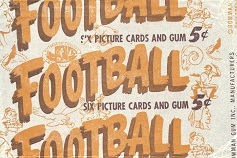 Galleries such as this provide a way to preserve and chronicle the history of this hobby niche.